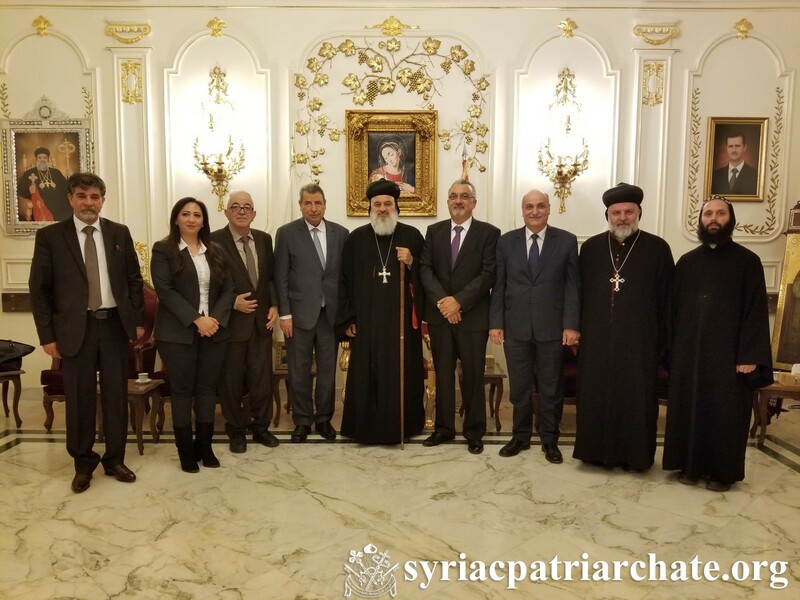 On April 14, 2019, His Holiness Patriarch Mor Ignatius Aphrem II met with the High Presidential Commission for Church Affairs in Palestine headed by Dr. Ramzi Khoury, at the Patriarchate Headquarters in Bab Touma – Damascus. The meeting was attended by His Eminence Mor Maurice Amsih, Archbishop of Al-Jazerah and Euphrates, and Very Rev. Raban Joseph Bali, Patriarchal Secretary and Media Office Director. The Commission congratulated His Holiness for the occasion of the coming feasts, as well as for the consecration of new Archbishop Patriarchal Vicar in Jerusalem, Jordan, and the Holy Lands. Speaking about the situations in Palestine, members of the Commission considered that there is a plan to weaken the presence of Christians, as well as Muslims, in the country. They wished that the Churches would raise their voices once again for Jerusalem. His Holiness expressed his happiness for the consecration of a new Archbishop Patriarchal Vicar in Jerusalem, Jordan, and the Holy Lands. He reassured the Church’s clear stand by the side of the liberation of Palestine. He emphasized the necessity to support the cause of Palestine and preserve the presence of Christians in the Holy Lands.